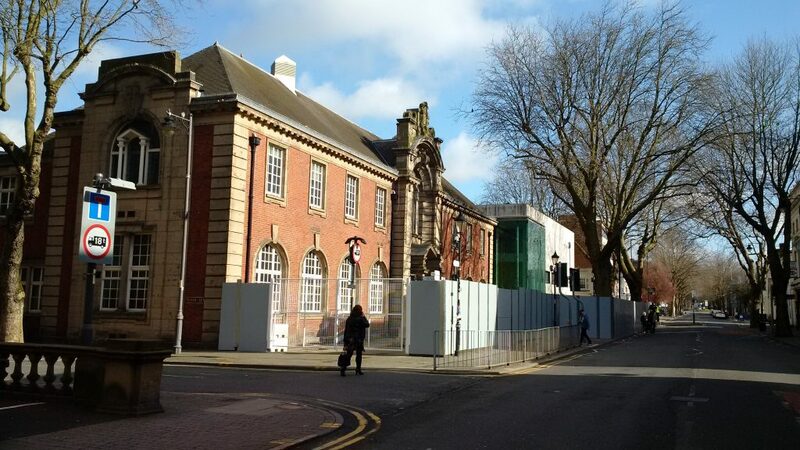 Contractors working on behalf of Walsall Council erected hoardings around the Central Library over the weekend. Work on the Grade 2 Listed Building is needed to carry out essential maintenance and a much needed upgrade of the Library which will also see the Walsall History Centre brought to the town centre location. The work is part of an ongoing programme of upgrading the towns remaining six libraries making them sustainable, more accessible and reflecting what people expect from a 21 century library service. Government funding cuts to local councils saw the budget for Walsall’s Libraries reduced from £4 million pa to £2.8 million pa with the loss of seven smaller libraries across the borough. What remains requires upgrading and modernising in order to make it more flexible, accessible and as far as possible future-proof. A temporary library service has been set up within the Council House whilst the work is carried out and all the other libraries are operating as normal.